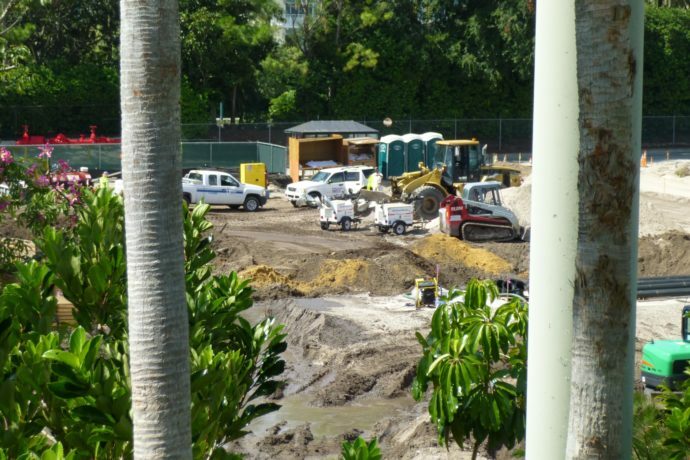 Work on Project 340, which may or may not be Skull Island, over at Islands of Adventure is in full swing. New porta-potties have arrived, construction teams are congregating, and the area is bustling with activity. There’s a lot going on and fast, especially for an unannounced expansion! Here are some photos from my most recent visit. Large lights brought in for working at night. The ground is no longer flat like before with so much digging going on. More piles of wood have arrived since my last visit. Piles of wood, with what appears to be someone’s lunchboxes? Hooray for the progress on the park! Excited to stay tuned for what’s to come and the progress for this project. Would love to see some of the water rides!